Jennifer is a local, licensed bail bondswoman serving the towns of Wethersfield, New Britain, and Berlin. She also services Hartford, East Hartford, Rocky Hill, Glastonbury, and Manchester CT. Jennifer works out of the New Britain office daily providing fast and courteous service to customers. As a woman in the bail industry, she is proud to provide a service that gives the opportunity to customers to represent themselves with dignity. This helps when standing in front of a judge in the courtroom. Instead of the usual prisoner uniform and handcuffs, they can come dressed to impress. Her belief is that families should always come first. She is a proud mother of two boys and understands the urgency and necessity to reunite families with their loved ones. Pretrial services or pretrial release can be achieved with our bondswoman Jennifer by utilizing the services of Wethersfield bail bonds. She offers payment plans that will fit your budget and allow that no defendant will sit in jail simply because they are poor. Sometimes family members will leave someone locked up “for their own good”. If someone is willing to bond their loved one out, she will find a solution and be there for them. 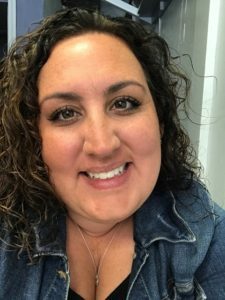 With over fifteen years of experience in the bail bonds industry and her ambition to grow professionally, Jennifer has worked in both the production and quality control departments. Her leadership and organization skills have contributed to providing the best bail bond service in the country. Give her a shout, and she will get you out! It’s what we do. For further questions go to our FAQ page.